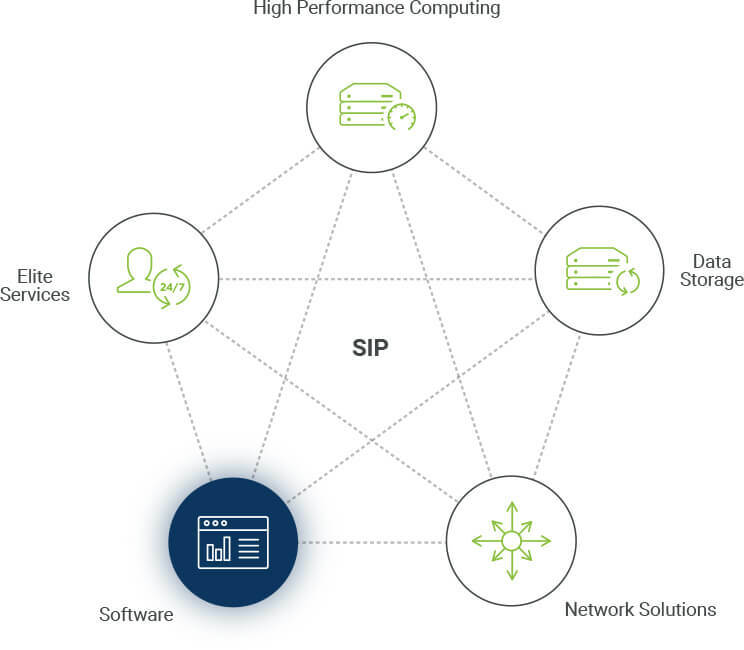 SIP (SophistIT Infrastructure Platform) is targeting High Performance Computing, effectiveness and cost savings for building and operation of IT. 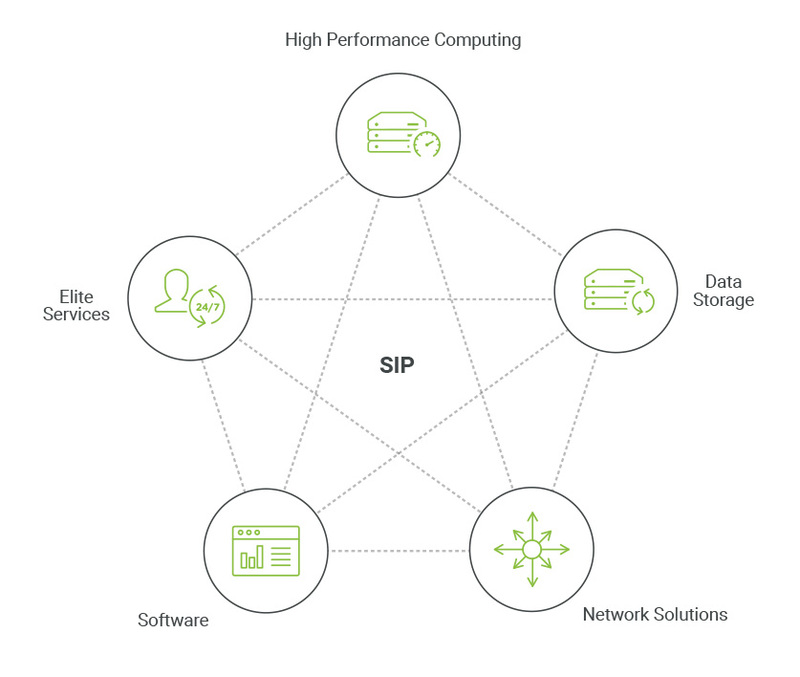 SIP provides solutions based on cutting edge technologies and services that are tailored exactly to your needs and therefore are securing the highest effectiveness for your datacenter. 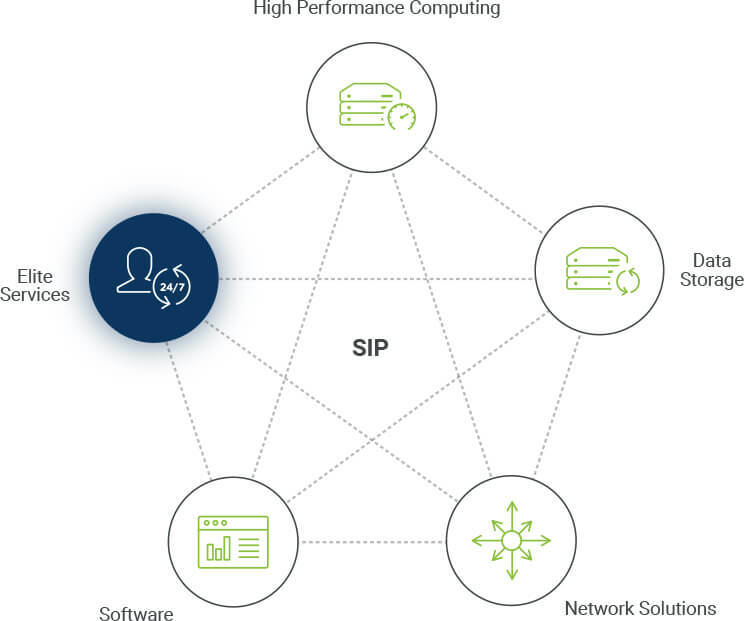 SIP solution is leading to maximization of your ROI with focus on modern trends. 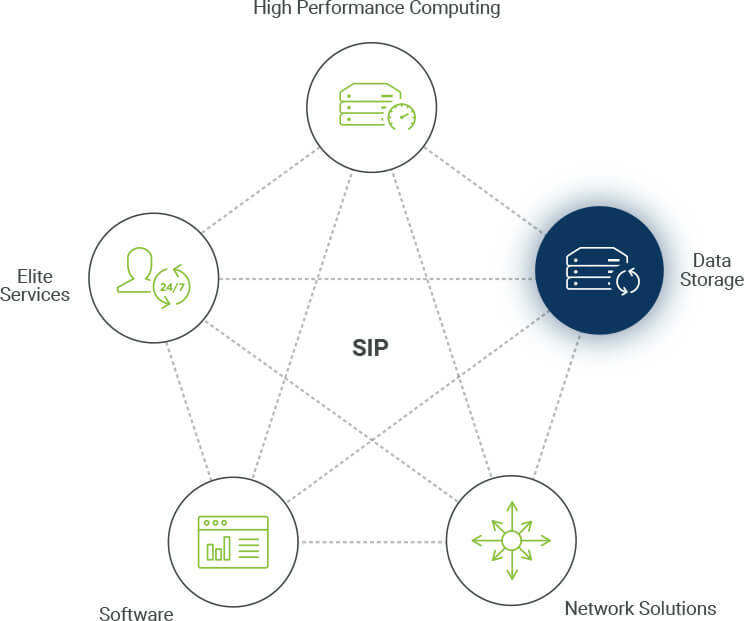 Baseline for IT infrastructure ecosystem is platform, which works on computing. Our response on this baseline is variation of solutions, those varies from single server solutions and scale to modular and scale-up compute, database systems mainly on x86 platform. Virtualization tools are expanding possibility of effective use of HW resources, providing flexibility, high-availability and minimizing the application outage. Today’s Datacenter standards are based on High-availability, which is the key for designing the computing nodes and effectives by distribution of resources. Sophisticated management tools and centralize operations of virtualization environment are present standards. Management tools are providing streamlining of HW operation with options from simple OS installation to application deployment. This ability and streamlining of your IT operations is key to minimization of possible outage and maximization of RTO/TCO, which directly impact your business. Data Storage is playing the crucial role for enterprise data storing and processing. Our response are the next generation data storage solutions from NAS, SAN or Software-Defined storage, based on your business needs. Our solutions are containing technologies as Thin-Provisioning, Deduplication and many other functionalities, that are used for data storage and backup systems. Those are well prepared for integrations with your private cloud solutions and many others, that will support your daily enterprise tasks. The backup of your enterprise data is crucially following up on Data Storage infrastructure. We are designing Backup solutions with the respect of enterprise needs, it’s type of business and cost effectives. Our solutions are best of breed to succeed on the daily task for backing-up with using technologies as deduplication, and multi-distribution of data copies in real-time. Therefore, we are using the suitable Software solutions for ether virtualization of storage and backup environments, and the cutting-edge technology for managing the most complex environments. IT ecosystem is connected by two-way synapsis, where our answer is variation of network components from base to modular ones. 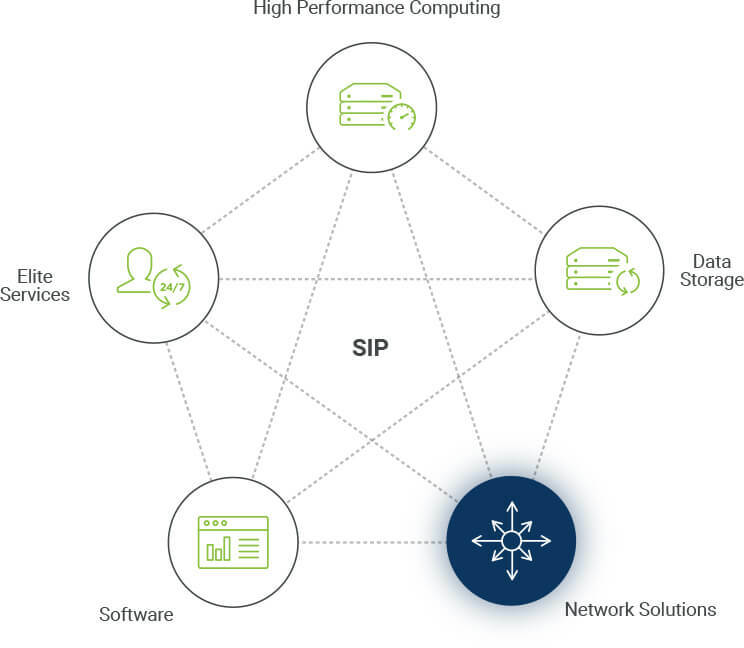 Those components are targeting large scale of corporate and branch network with central management. Our network platform is using all modern and secure attributes for effective and secure corporate network. Our wide landscape of SW solution is providing variation of operational, virtualization, database computing systems (Big Data). Streamlining your IT operation and central management of computing resources, energy efficiency of your datacenter, ticketing and monitoring of whole environment is addressable by our SW solutions. Also, supporting your DevOps team, by useful solutions of automated testing, versioning and of whole application lifecycle is our mission. We are providing SW solution to targeting application development of custom made application in house, with focus on your business requirements. Our elite professional services are the key part for complete projects delivery, from architectural scoping, project management to whole delivery and operation of delivered project. We are targeting form infrastructural simple implementation to complex project delivery that are cost effective. SophistIT certify professionals are trained for our platform to transform your investment to value your enterprise is targeting to. SophistIT elite services are key for running your IT environment in effective and predictable mode.